With so many products out there, it’s no wonder—everyone looking for something useful and different. With summer approaching, golfers have started packing their bags to hit the golf course. It is also a great opportunity for companies to promote their brand. Undoubtedly, golf is a great way for caddy and golfer to relieve stress and interact with new people. Golf courses also make a perfect venue for a fun gathering or a banter session. When looking for custom golf promotions for events, employees, and clients (or a well-timed trade show), there are many options available. Ranging from must-have accessories to basic golf apparel, there’s a lot to offer to golf lovers. Let’s take a sneak peek at the golfing must-haves that can also be used for popular promotional items or giveaways. Undoubtedly, golf tools are the most amazing promotion ideas for many industries. 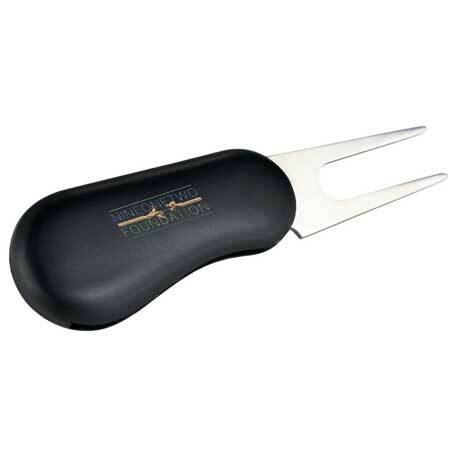 From custom tees to market and divot tools, there is a wide assortment of choices available that not only help you to impress your potential clients, employees, but give a boost to your promotion campaign. As a sponsor the golf tournament or promoter of a charity golf event, it’s quite obvious your aim is to make your event stands apart. So how would you do that? 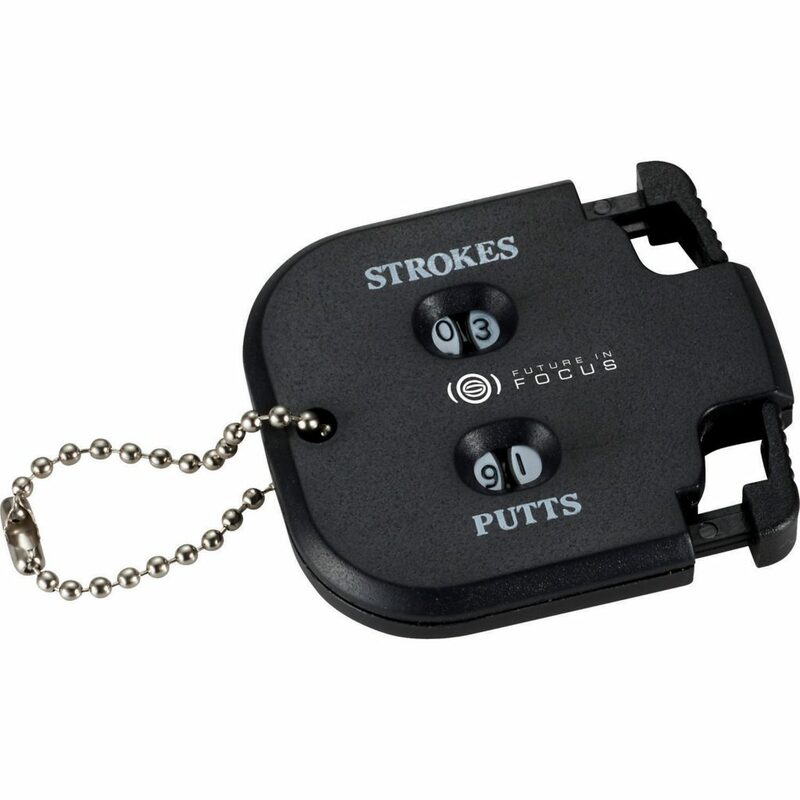 Never lose track of your number of strokes and putts again. This easy to use golf score counter counts up to ninety-nine strokes and putts. If you know how to golf, then you obviously know about the value of golf tees. High-performance golf tees enable you to tee your ball at the right height on supple synthetic bristles that crook on impact, creating a feel of driving the ball off the air. When you use a tee, it provides less resistance which creates dramatically straighter and longer drives. The brush tees support the golf ball and in order to choose the best bet look for the flexibility of the bristles. It allows the ball to be smacked with less deflection and resistance. The bristles of the tees are supported by air and help you to create straighter and longer shot. If you are looking to use this tee as a great promotional product then explore the number of shades available. 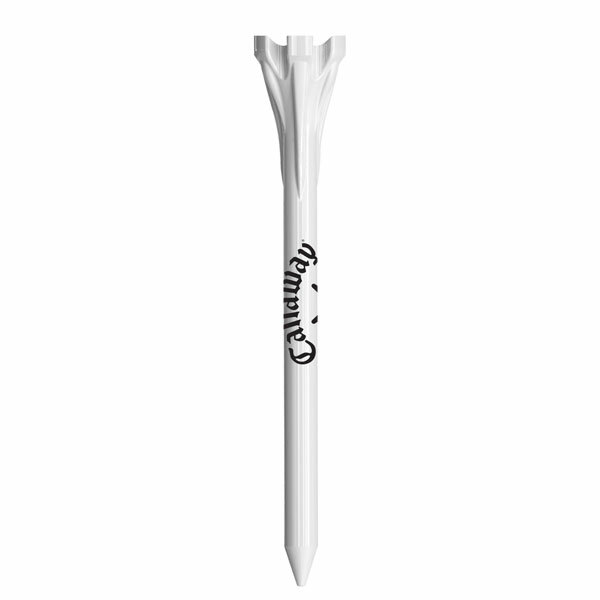 Easy to customize, you can use the performance golf tees as a giveaway to employees, clients or use in events, these are highly recommended. Switchblade divot tool that opens and closes with the touch of a button. It's compact, fits perfectly in your pocket without points poking into you, and includes a removable ball marker. The golf bag is your companion throughout your game. It keeps your clubs and balls secure, and that is why it is important to choose it wisely. Functionality is the major key when choosing a golf bag. While choosing a right type of golf bag, you may come across with many options such as cart bags, staff bags, stand bags and travel bags. Regardless which one you choose, make sure to look for important features like dividers, putter well, pockets, rain hood, umbrella handle, towel loop/ring, strap, and handles. With limitless options, it can attract any golf lover. When imprinted with a brand logo or name, a golf bag can grab the attention of another player on the golf course. You can choose from numerous options available. As a corporate gift, a golf bag makes a long-lasting impression. 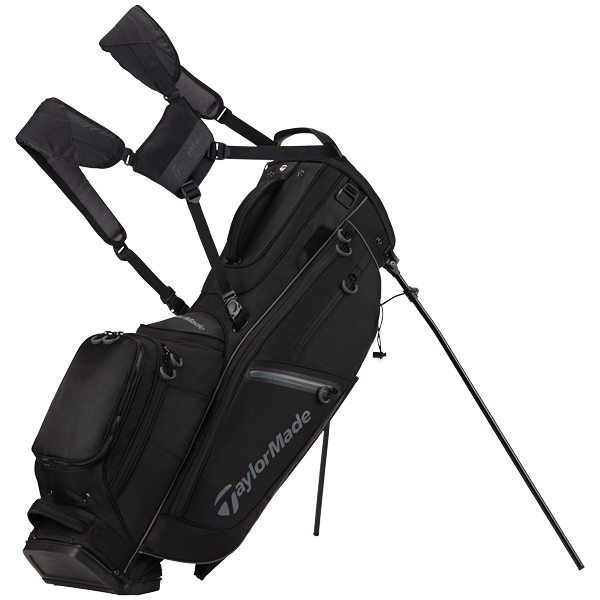 Moreover, your employees and clients will be happy to get the golf bag as a promotional item. Keep your scorecard out of the elements with this golf scorecard holder. 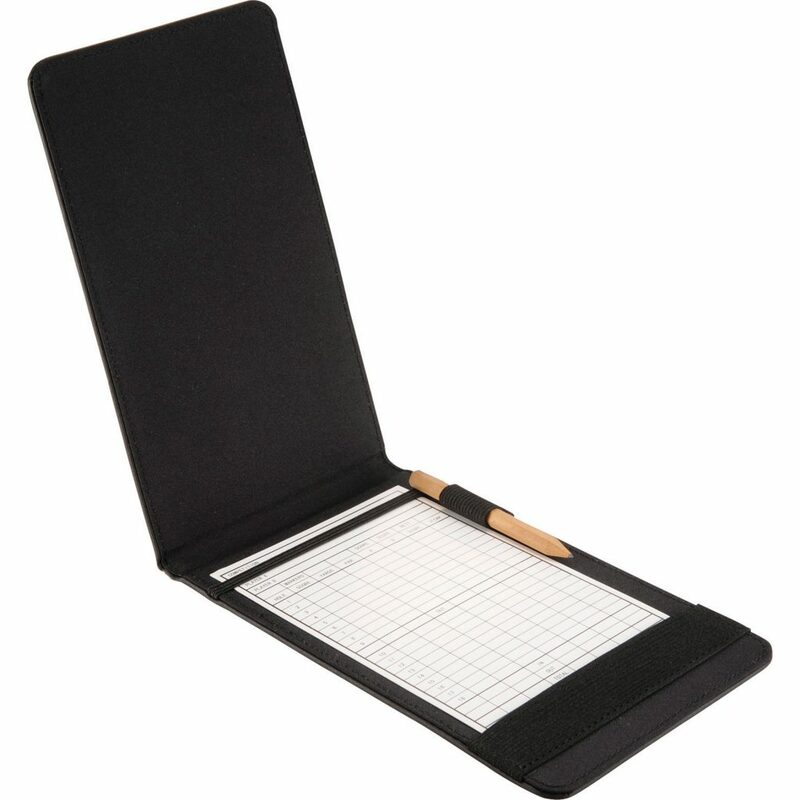 This leather golf scorecard holder features elastic bands to secure standard size scorecards and a convenient pen/pencil loop. 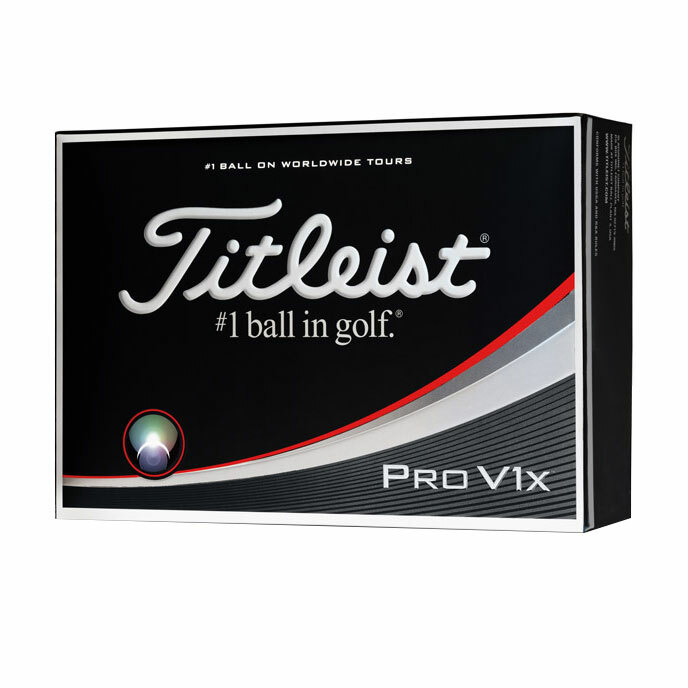 If you are looking to impress your high-profile clients without breaking your bank, then a set of promotional golf balls is the right option here. You may find a number of options in golf balls too. From one piece ball to 5 piece ball sets, you can explore all sorts of options and choose the one you prefer. The custom printed products are quite effective in conveying the message of leisure and luxury and also appreciated for their practical use. Golf balls make a great corporate gift. Also, can be an offer to employees for boosting morale, productivity, and incentives. If you like to hit the green, you need the right set of golf marker and tools. Ball markers are one of the most important accessories for a golfer. 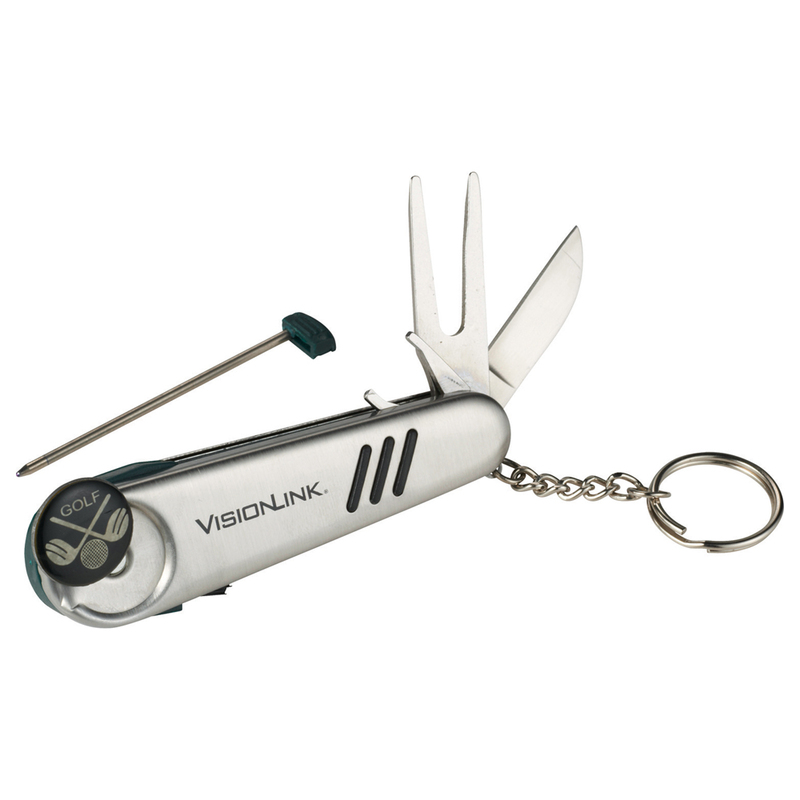 Regardless of their handy size, these golf tools make amazing promotional items to give away to employees, clients or anyone. This ball marker conveniently clips to your hat and doubles as a bottle opener for the golfers who don't worry about their game as much 😁. 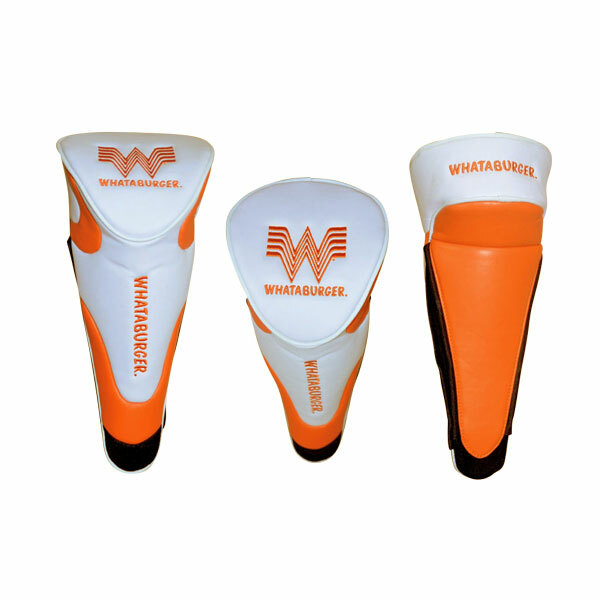 When it comes to custom golf promotions, nothing can beat the effectiveness of accessories. There are a number of accessories that are pretty much must-haves in golf. Being an outdoor sport, it is quite obvious you may unfortunately need a towel time to time while golfing. A sublimated microfiber towel is the right bet, and a great addition to any golfer’s bag. 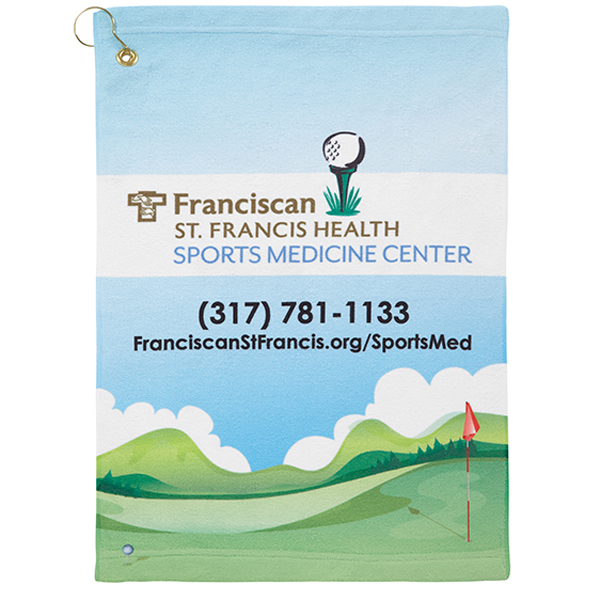 Made of a microfiber or soft cotton, a sublimated microfiber golf towel helps to keep your clubs clean. With the snapped closure, it’ll stay attached to your cart or bag all day. Whether you are looking to clean your face, neck, or hands, or keeping your golf ball or club clean, the sublimated microfiber towel is a great option to go with. 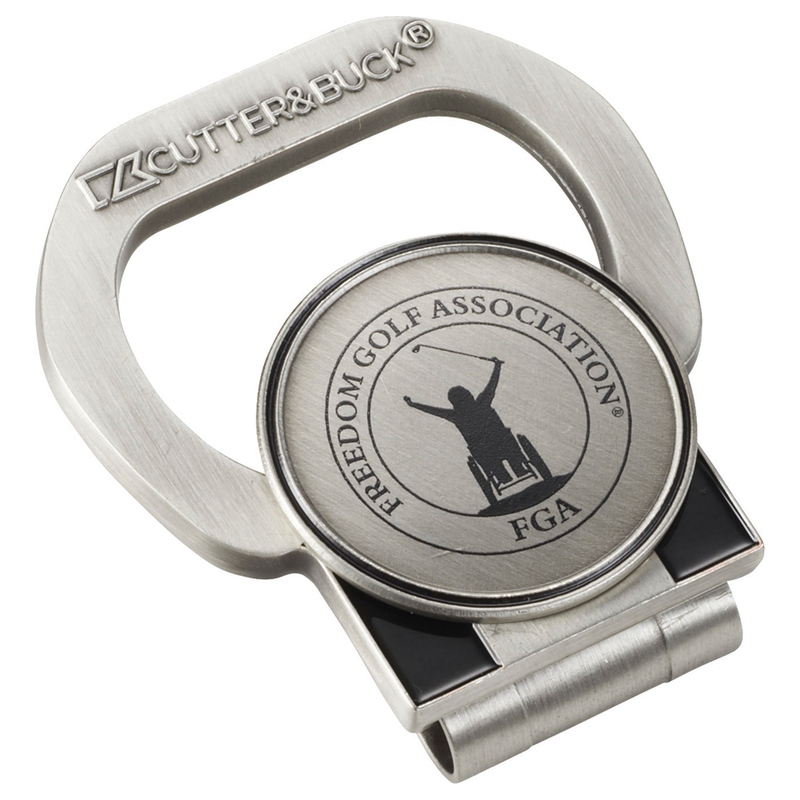 Also, this necessary golf accessory makes an effective give away for your next golf tournament or charitable event. Tired of boring head covers? There are a number of varieties available when it comes to golf club head covers. You can give a customized touch to your favorite driver with custom head covers. Made from high-quality polyurethane leather, velcro, soft faux fur and magnetic closure, this head covers protect your desired golf drivers. The variety of options available gives your drivers a unique look and also protects them from rain and sunlight. These covers are not only necessary golf accessory but also make an amazing giveaway when customized with your brand name or logo. Because golf is an outdoor sport, many times golfers wish to carry a cooler on their cart to keep drinks or some food. Although carrying a big cooler can be troublesome, but luckily there is bag can that easily carry your drinks and make them cooler for a long span. 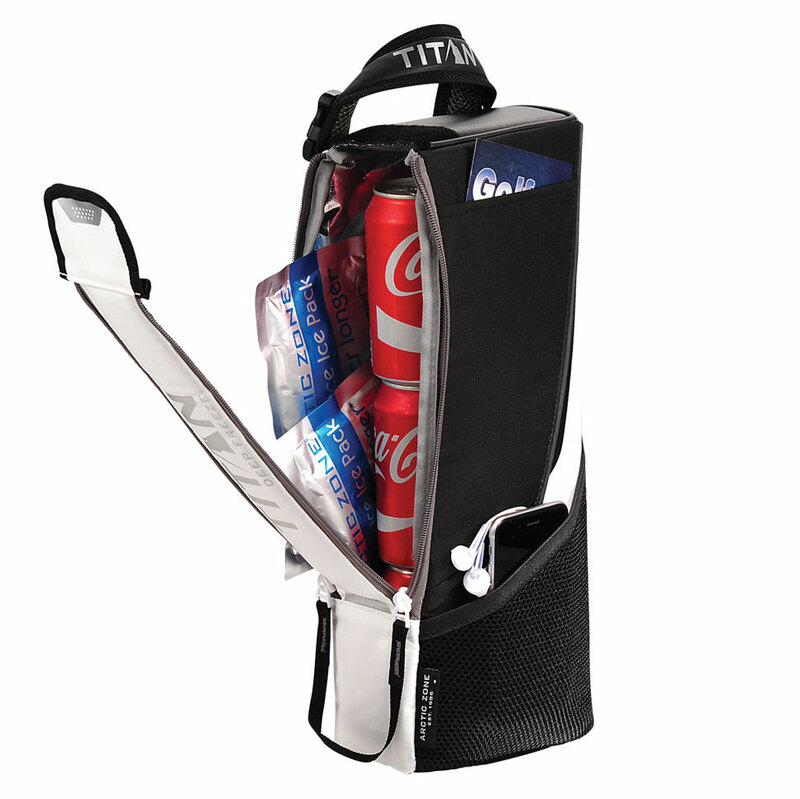 The bag can cooler easily hold more than 6 cans plus ice packs. The cans are attached to the bags in such a creative way that it won’t affect your ride. Keeping phone, charger, jewelry and other belongings safe seems to be a challenge for a golfer. But with valuables course pouch, it is no longer a hassle. The custom little pouches are a great option for keeping jewelry, cell phones, and keys safely in your golf bag. The easy to carry pouch can easily accommodate small things and secure them easily. 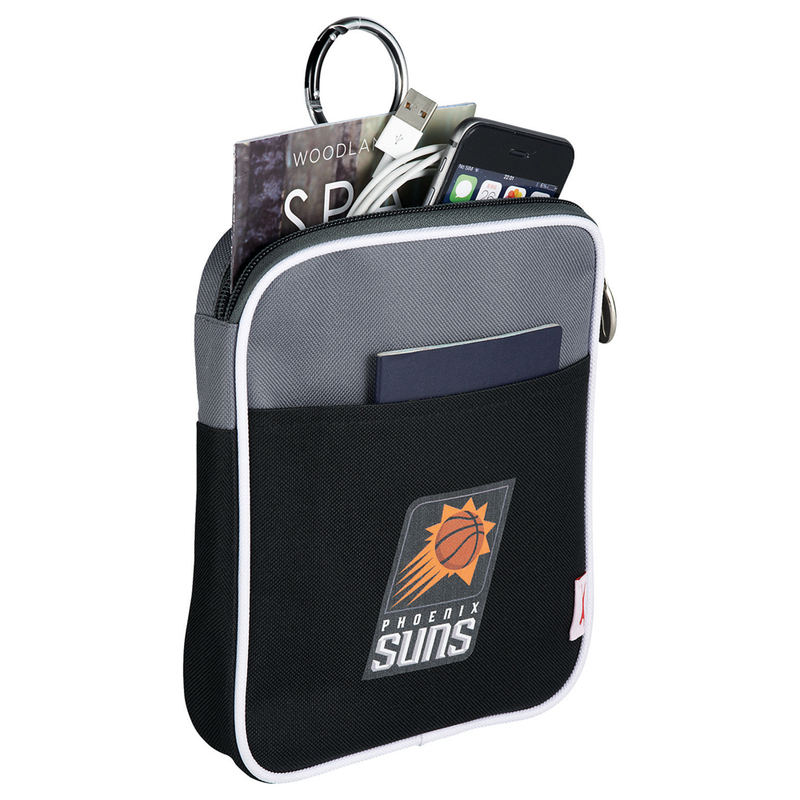 If you are looking for an affordable way to promote your charitable, golf tournament or any event, then valuables course pouches are one of the cheapest promotional products available. You can customize these pouches like the way you want and distribute it to your customers or employees for the better exposure of your brand. Apart from the must-have and necessary accessories, if you ask a golfer what else draws his/her attention, the answer would be basic golf apparel. Golf apparel is designed specifically to provide ultimate movement, breathability, and comfort from different weather conditions for players on the green. It is essential that players have right sort of apparel to play comfortably and effectively on the green. Also, it is quite essential that players have right sort of apparel to play comfortably and effectively. There are numbers of companies spending money to design golf apparel to improve the game of a golfer. When seeking to buy golf apparel, it is important to look at the dress code of that particular course or club beforehand. Over the past few years, golf apparel has dramatically advanced and the major advanced in fabric and design technology mean that players can play more easily. It’s no wonder that major brand apparel brands present their unique line of clothing for golfers for their custom golf promotions. Fully-branded leather gloves are useful for any golf player. With its ample benefits, this could definitely draw the attention of any golf enthusiastic when you give them as a promotional product. Designed to wear only while playing golf, these fully branded leather gloves are ideal as a giveaway in sports events or corporate golfing tournaments. 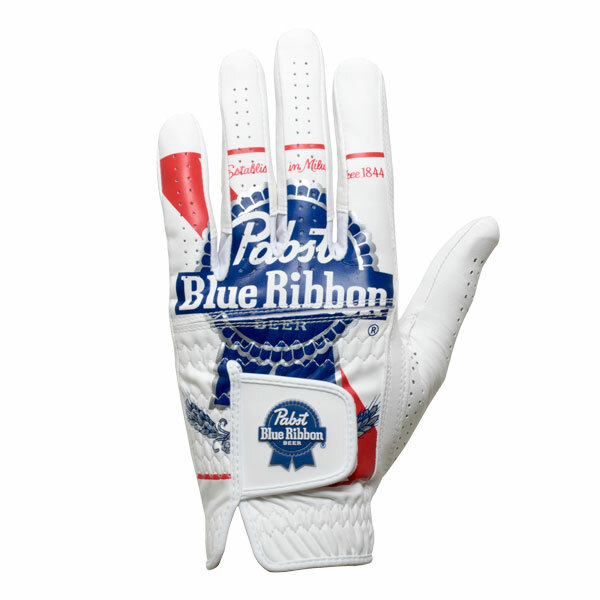 The moisture-resistant gloves offer great grip and seem like a second skin. Easy to personalize, you can choose from different sizes and design printed onto the gloves, have your logo or business details. Wearing comfortable socks on the green can help you to play golf easily and comfortably. It avoids blisters and helps ease underfoot strains. They will even keep your feet cozy throughout the game. It is one of the most preferred basic golf apparels is full-coverage custom socks. 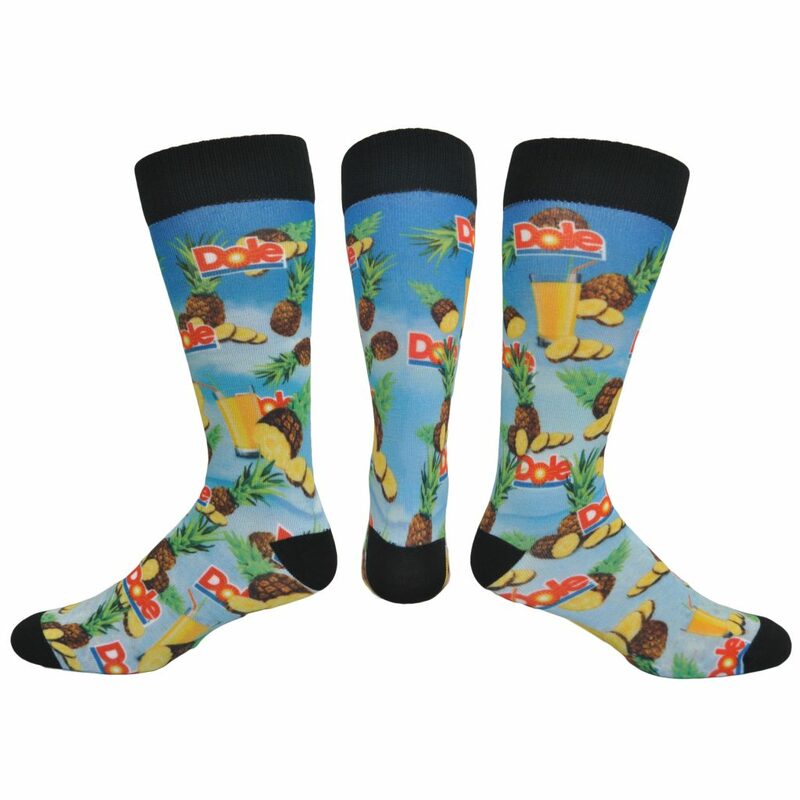 As the name suggests, these socks provide full coverage and easy to customize. Compared to regular socks, it offers a layer of protection and comfort which is missing in other socks. For golfers, these are of high importance as these not only looks cool but also give ease to your feet while playing golf. Just customize or imprint them and use as a giveaway. As golf is an outdoor sport, it’s quite obvious protecting eyes is the major concern of many golfers. Most of the professional golfer put shades while swinging or hitting a shot. Once considered as a hindrance, today many manufacturers introduced technology that eliminates all sort of hindrances. The shades designed for playing golf are available in a number of attractive shades. The major place is weight and comfort. A quality golf sunglass features 100% UV protection, polarization, and scratch resistant. Eye-popping sunglasses not only entail a complete coverage to your eyes but also act as a great promotional product for events or proceedings. 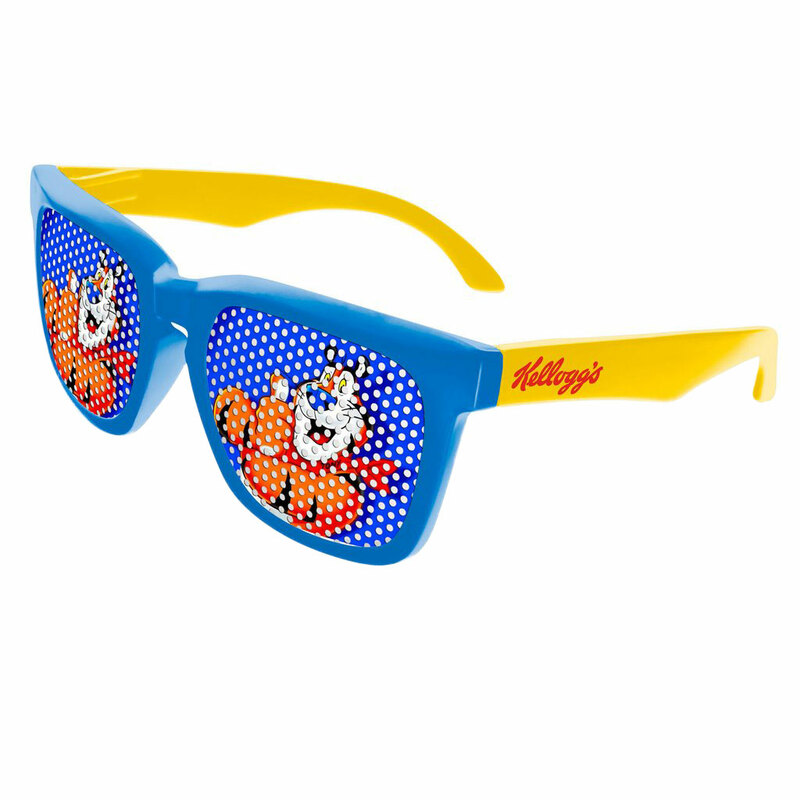 The eye-popping sunglasses are very comfortable even if you are off the greens. Golf is a Summer game, and this year it’s going to be quite hot and humid. Playing in heat can be troublesome, but not for the golf enthusiast. Golfers look for the best ways to cover their head and faces and therefore, look for the best golf hat that enables them to play comfortably. A good cap can be helpful here. When it comes to golfing products, Nike is a reputed brand. The Nike cap keeps the rain and sun away from your face and the foremost choice of many professionals as it protects them completely. 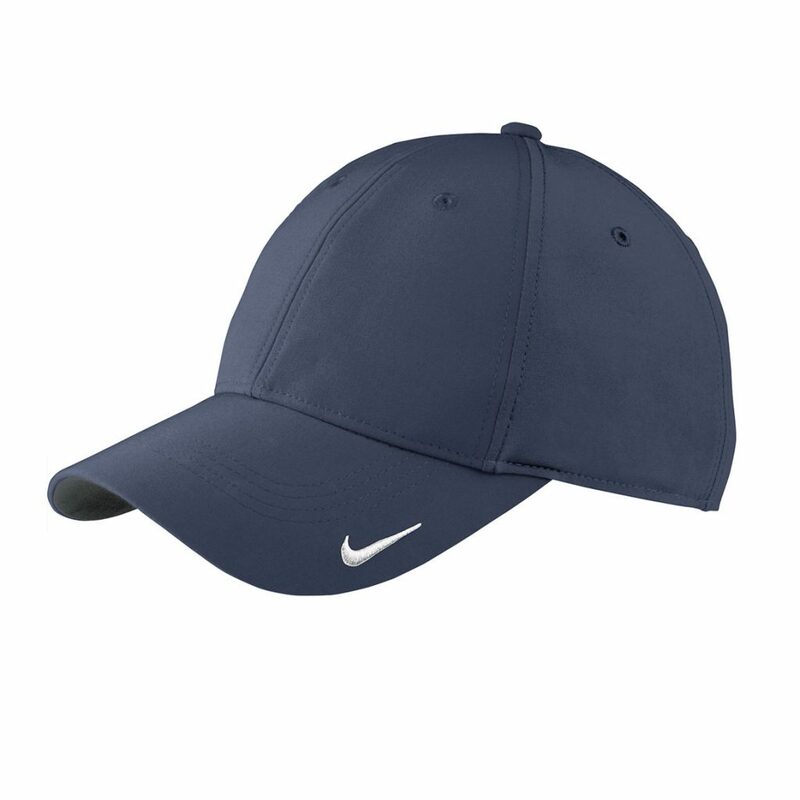 If you are looking for a hat that can protect you from harmful rays then Nike Dri-fit golf hat is the right option to include in your golf promotion ideas. Perfect for all outdoor activities and sports, it comes with adjustable velcro closure at back allowing you to adjust it according to your head size. Over the past few years, golf apparel has dramatically advanced and the major advanced in fabric and design technology mean that players can play more easily. It’s no wonder that major brand apparel brands present their unique line of clothing for golfers. So Why Use Custom Golf Promotions? The trend of promotional products is not new. When it comes to custom golf promotions, luckily there are many options available. Whether you are looking to opt for must-have accessories or apparel, you have to ensure you are not compromising on quality standards. Although you’ll find many cheap alternatives, but make sure you are getting a quality product. After all, it’s all about the quality—and if you are not providing quality promotional products to people, no one will remember your brand.